Save Valuable Time And Money With Fruits Delivery Service In Singapore At Wholesale Prices. How much time do you spend in a supermarket buying your favorite fruits? Isn’t it a time-consuming process? Going to the market, finding the right vendor, picking the best fruits from the cart and then bargaining on the prices! What if you get fresh fruits handpicked from the farm, delivered all the way to your doorstep at promising prices? Doesn’t that sound exciting? And think how much time and money you can save and still get farm-fresh fruits. 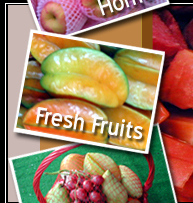 eFreshFruit by Hock Hoe Hin Pte Ltd deliver fresh fruits to your doorstep at wholesale prices. The eFreshFruit’s journey of fruits delivery service Singapore at wholesale prices started all the way back in the year 1970. Since then the company has been a reputed distributor of fresh tropical and exotic fruits all over Singapore. All the exotic fruits are imported from their native lands and maintained in hygienic condition under controlled temperatures so that you get farm fresh fruits in the best condition. You can easily select and book your order for fruits delivery service in Singapore at wholesale prices by visiting our website. We specialize in the delivery of exotic tropical whole as well as cut fruits. We provide a whole range of products to choose from. You can get fruit hampers, assorted fruit packs, cut fruit boxes, buffets, fruit skewers, cup fruits, and cut fruit platter. Select from an assorted pack of fruits to a whole fruit buffet. Whether you need a small pack of fruits or a complete hamper to treat your guests, we have a perfect product for everyone. All the fruits delivered to the customers are fresh and healthy. We help you save valuable time in your grocery shopping and all our products are available at wholesale prices to help you save your valuable money. With us, you get great deals and fast delivery service. Now, you can easily inculcate fruits into your daily meals. Gone are the days of walking miles to the grocery store to select and buy your favorite fruits. The smarter way of eating fruits is to get them to your doorstep with fruits delivery service Singapore at wholesale prices. We do our part of supporting the healthy eating and living initiative by the Singapore government. 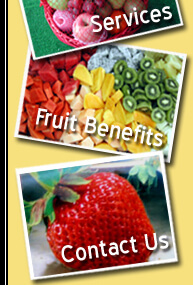 We believe that we all should have our little share of fruits to maintain a healthy living. Delivering fresh fruits at affordable prices to your step is our initiative to ensure our commitment to good health of every citizen. Be a part of the pledge of healthy eating and healthy living. Next time, whenever you crave for a bowl of fruits, get it delivered all the way to your doorstep at great prices anywhere in Singapore. Make a healthy choice by eating farm fresh fruits available at great prices at the comfort of your home. Save valuable time and money on commute and grocery shopping by placing an order with us. Get your fruits delivered to you quickly and comfortably.